Although it’s often viewed with panic, there are endless options for what to do after graduation. You could backpack through Europe, find a full time job, or volunteer – and those are just some of the choices! Graduation is exciting, despite how nerve wracking it can be, and although you may be graduating, many new grads will choose to head back to school once the fall comes around to pursue a higher degree. Dress professionally – My go-to interview outfit: a nicely tailored suit and polished flats/heels. Even if a suit is not technically required, it gives me the confidence I need to get through the day. Regardless, a suit or nice slacks and a button up, or a pencil skirt and blouse for the ladies will look professional and sharp. Also note that although those sky high heels make your calves look great, do not wear them unless they are a classic style and you’ve had some time to break them in. Nothing more cringe-worthy than a girl who can’t handle her heels. For the gents, leave the sneakers at home and lace up a pair of dress shoes. Look professional – This should go without saying but to be clear, you want to look your best on interview day. Get a good night’s sleep, don’t overdo it on the caffeine (no crazy wired eyes going on here), stay hydrated and maybe throw in a healthy meal or two beforehand (going in on a grumbling empty stomach is sure to be awkward). Try not stray out of your everyday norms, and ladies, stick to your daily beauty routine and leave that heavy makeup at home. Less is more in this category. Also, keep the hair simple and out of your face. You don’t want to be remembered as “The Girl Who Hid Behind Her Bangs” or “The Girl Who Kept Flipping Her Ponytail,” or perhaps even worse, “Bedhead.” You want the admissions committee to remember that beautiful face of yours for positive reasons! Be prepared – Okay, I sound a little like a boyscout here but trust me. Bring extra copies of your resume (an excuse to buy nice paper!) and business cards (if applicable). You’ll never be caught off guard if an interviewer asks for a copy and a seasoned interviewee never misses a chance to network! Make sure you know where you are going and give yourself plenty of time to get there, you don’t want to ruin your interview before you even get there by being late. Also allot yourself the time you need to feel prepared and relaxed before you walk into the interview room. Whether that’s taking the time to stretch out, review some questions, enjoy a latte or stroke that lucky rabbits foot, getting yourself prepared will help make the interview go much smoother. Utilize the knowledge of previous applicants – Before my grad school interviews, I took to the message boards. Often times applicants from the previous year will post about their interviews online. 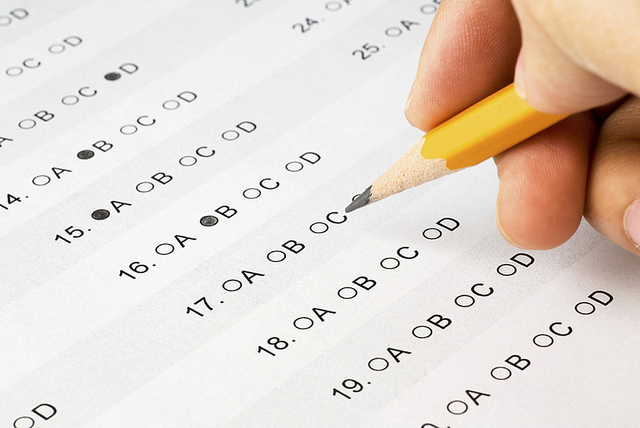 Occasionally, you’ll even find a post that details questions your interviewer asked previous applicants (#winning!). If you can’t find anything of substance, Google searches for commonly asked at grad school interviews might calm your nerves. What did that soccer coach in high school always say? Practice makes perfect! Take a deep breath – Interviews are stressful whether it’s for a summer camp counselor position or that dream job after college. 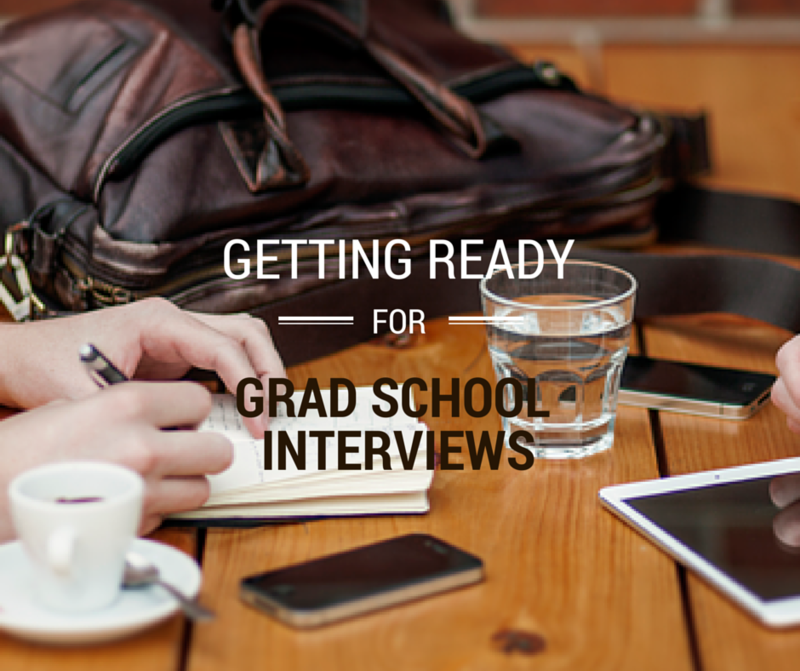 Unfortunately, grad school interviews are no different. Keep this in mind though: If you were asked to interview, chances are that they are already interested in you! So take the tips above to heart, let yourself enjoy the moment, and smile! Most importantly, remember that you’re also there to interview them and confirm that their school/program is the right fit for you! Thank you to guest blogger Maura Keeley for her tips and tricks included in this post. Maura has recently finished her applications and interviews for nurse practitioner programs, and is waiting for her letters to arrive any day now. Fingers crossed! You can visit her blog here. If you want to do a practice interview, check out https://www.gradtrain.com. You can sign up for a practice skype interview with one of their coaches/mentors who can guide you through the entire application process!